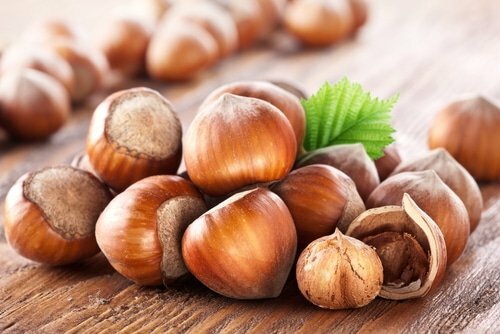 Your tips on eating raw hazelnuts? Please give your tips on how to eat hazelnuts, how much, how often, any warnings? Re: Your tips on eating raw hazelnuts? Soak them in water for 24 hours before eating them. Applies to all nuts. Question, should I SHELL the hazelnut before soaking? Or should I soak the hazelnut with the shell on? Soaking nuts with their shell on worked for me, and that's probably closer to what happens in nature in humid forest grounds, or rainy days. Not that you should lay the quality of the product you buy on the line in order to reach a certain ideal model of authenticity. In your case the nuts will be affected the same, shelled or not. I would choose which option is most practical. I usually don't soak nuts because I don't know how many I will eat and if I soak too many, the remaining ones will get spoiled. You can eat as many as you like, as long as they haven't been hot dried. i ate around 3 hazelnuts without soaking and I experienced a stop signal. I've gone and soaked some now and will try again tomorrow how they go down. I get a quick stop from some nuts, and I suspect that they are moldy or rancid, but not to the point that I can see or taste the mold or rancidity. I make note of the specific orchard when I get good nuts, so I can buy from them again. I ate some hazelnuts this late afternoon. Yes, I ate more than when it was not soaked. I felt it safe too for the children. Hmm, Iguana may have a point. Nuts contain antinutrients to prevent them being eaten. True, soaking them in water for 24 hours does reduce the levels of antinutrients, but that allows people to eat more nuts than they otherwise would have, it seems.Perhaps best to eat raw nuts unsoaked, and then very few of them at a time. Soaking and sprouting nuts increases their enzymes. At the same time enzyme inhibitors are broken down. Un soaked nuts deplete enzymes while soaked or better sprouted ones increase them. I don't care for the flavor of unsoaked nuts at all while soaked nuts are delicious. I remove the husk with my teeth and then eat them without soaking. I've eaten as many as 25 in a single sitting without problems. Oh I thought this was about the chestnut, that's the one I was talking about. I recently got some hazelnuts and they're a bit hard to comfortably break open with my teeth, I think. Though it would still be possible to do it that way. It's just that a nutcracker doesn't really work on raw chestnuts, because the hull is too soft. I've eaten a bunch of hazelnuts with no problems now, also. Soaked for a few days to ferment then blended to be used as a condiment. Much of the meat around here has the fat removed with nuts being a supplement. If omega 6 is prone to forming lipid peroxides, I'm theorizing that hydrogen producing bacteria could act as an antioxidant. I cannot digest raw unsoaked hazelnuts, feel totally bloated, never tried to soak them though, but I know I am very sensitive to raw nuts in general...I prefer to eat raw when it comes to meat, eggs, and fruits (obviously) , but if I would have to eat hazels, I would definitely prefer them roasted... but maybe it's because my senses are still not in tune to real health foods because I havent done this that long , or...?